purposely made strides to increase the younger generation in our pastoral team across the Texas Conference. We've also re-established a Children’s Ministries Department while our Club Ministries have swelled to North American Divisionleading figures. Most recently, we embraced the North American Division initiative of growing young, one that will focus on retaining and recapturing the young adults of the Seventh-day Adventist Church in Texas. The fourth area to highlight is the impact that the Seventh-day Adventist Church is having in local communities. While we could point to large events such as Your Best Pathway To Health that treated thousands of people, there are day-to-day initiatives like church food banks, radio programs, and the spirit of unity felt as church members rallied to aid Houstonarea residents following Hurricane Harvey. Finally, we recognize the blessing of Adventist Education. 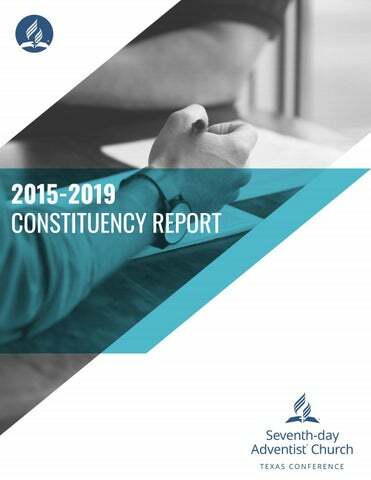 At the Constituency Session in May 2019, we pray for a breakthrough that will strengthen Adventist Education in Texas, and make it more attainable for families both Adventist and non-Adventist. A special Texas Adventist Education Advance Committee has been meeting to carefully scrutinize what has worked for our schools in the past, and what we can do to move forward. Join us in praying for the students, parents, principals, teachers, and school boards who work diligently to make Adventist Education both a successful and spiritually redemptive endeavor. May God's rich blessing be with you today and always. growth for each year after subtracting those members who left the Texas Conference by transfer, death, removal or missing/adjustments. Local Clerks/eAdventist Membership The Texas Conference has more than 250 churches utilizing the North American Division eAdventist reporting system for church membership and officer information. The Conference Membership Clerk, has continued the annual clerk certification program/training. Once the certification is completed, the church receives $200 to assist in purchasing a computer for the local clerk. Email membership@txsda.org for more information about the certification process. New Churches and Companies We are thankful for all the pastors, leaders, members, and partners who made this quadrennium a successful one here in Texas. Our membership is diverse, and is increasing growth in both English-speaking and Spanish-speaking congregations, as well as Korean, Kenyan, Haitian, Brazilian, Vietnamese, and Slavic groups among our Conference. Over the past four years, the Texas Conference has formed 56 active church plants with the ultimate goal of having a full-fledged Seventh-day Adventist church in the areas in which they’re located. So far, these church plants have established six churches, 28 companies, and 22 groups. While God’s work continues to grow in the Texas Conference, we pray for your continued partnership as we share the good news with those around us. the reader of the statements assurance that funds are being handled appropriately and with Christian integrity. The Treasury Department is charged with the sacred duty of administering the tithe. Leviticus 27:30 tells us, “A tithe of everything from the land, whether grain from the soil or fruit from the trees, belongs to the Lord; it is holy to the Lord.” The Conference Tithe Distribution graphic below shows how tithe is distributed. In addition to providing funds for Conference ministries, a portion of the tithe is shared with the world church. The tithe returned to God literally takes a trip around the world to assist in proclaiming the gospel. Approximately four percent of the tithe sent to the Southwestern Union Conference and North American Division is returned to the Texas Conference in the form of an appropriation for education and evangelism. That means that 64 percent of your tithe dollar is used to operate Conference ministries. During the past four years, faithful members of the Texas Conference have returned $195.7 million in tithe, compared to $168 million in tithe for the previous quadrennial. That is an increase of 16.5 percent. The tithe graph shows a gain of 18.8 percent since 2014. Malachi 3:10 encourages us to, “’Bring the whole tithe into the storehouse, that there may be food in my house. Test me in this, ‘says the Lord Almighty,’ and see if I will not throw open the floodgates of heaven and pour out so much blessing that there will not be room enough to store it.’” We are thankful for God’s blessings, and for your part in furthering His work in Texas. The following information elaborates on the data seen in the graph below: •	Ministries funds pastoral salaries and benefits, as well as Evangelism, Ministerial, Lake Whitney Ranch, Stewardship, Men’s Ministries, Women’s Ministries, Children’s Ministries, Sabbath School, and Youth and Young Adults Departments. •	Southwestern Adventist University is the Conference appropriation to support our local university. •	Education supports a portion of the teacher salaries and benefits, as well as expenses of the Education Department. •	Retirement benefits the eligible employees who worked prior to the year 2000 and received qualified service credit. •	Services funds Communication (including printing of The FLAME) and Health Ministries. •	Administrative supports President, Secretary, Treasurer, Auditing, Human Resources, Planned Giving & Trust Services, Association and Data Processing Departments, as well as expenses for the overall operations of the Texas Conference office. Workshops, and Pathfinder Camporees. Direct to you (D2U) is a delivery program where pre-ordered food and other materials are delivered on a predetermined schedule, based on the response of members, to churches, schools, and members throughout the Southwestern Union for a nominal delivery charge of $5. Details can be found at abckeene.com. There are currently nine routes across the five states that make up the Southwestern Union. Orders year-round can be placed in one of three ways: 1. Calling toll free 800.333.1844 2. Ordering online: Pacific Press books (AdventistBookCenter.com) or vegetarian food items (abckeene.com). Other Adventist book publishers will be added to the Texas ABC website throughout the year. 3. Visiting the store at 201 South Old Betsy Road, Keene, Texas. Hours: Sunday– Thursday 9 am to 6 pm and until 4 pm on Fridays. We appreciate being your Texas ABC and strive to offer you the best products possible with outstanding customer service. Feel free to email us at food.abc@txsda.org if you have any questions. to establishing a network of nearly 50 emotional and spiritual care providers. We’ve also partnered with Seventh-day Adventist-affiliated hospitals in Killeen and San Marcos to make the Emotional and Spiritual Care Provider training available to more people in more areas in the coming years. Serving As of March 20, 2019, the annual 2018 reports from 24 churches revealed that $1,444,107.42 worth of services, as well as 33,051 volunteer hours, was provided to those areas. The ACS Warehouse staff and volunteers provided an additional $365,357.00 worth of services and clocked 3,286 volunteer hours. The ACS Disaster Van assisted five churches with its community services outreach programs. In addition, more than 1,400 cleaning supply buckets and 1,500 personal hygiene kits were donated and delivered for those affected by Hurricane Florence (North and South Carolina) and Hurricane Michael (Florida). In 2019, the ACS Disaster Van is already scheduled to assist eight churches with similar outreach programs. fund the leveling of 15 homes and provided supplies to re-roof several others. It was wonderful to see hope return to the residents faces as they watched volunteers give of their time to make their house a home again. There are still many projects available in Refugio, Houston, Beaumont, and Port Arthur areas. If you would like to help, email acs@txsda.org. We are greatly indebted to all the wonderful volunteers, and we consider them the backbone of this ministry. Together, we serve communities in Christ’s name. created for local churches to use with child evangelism. You can find more information about them on our website. They will be available in English and Spanish. Dollar Tree Children’s Ministries is an ongoing YouTube project that contains videos demonstrating how to use items from local dollar stores for object lessons, active learning, and biblical engagement. The Button Challenge is a series of collectible buttons focused on different areas of a child’s spiritual development. These buttons challenge kids to get involved by doing an activity related to the button and telling their stories. Our collectible buttons are the Home Challenge, School Challenge, Bible Challenge, Smile Challenge, Service Challenge, and Prayer Challenge. Many Adventurer clubs, Sabbath schools, and families are already participating in these challenges. Adventure Church is a tool created for Vacation Bible School follow-up. It includes a nine-part curriculum to use as a familystyle outreach project that encourages total member involvement and a Bible learning experience for the community. We are abundantly blessed with enthusiastic support from other departments, encouraging prayer from church leadership, and caring volunteers. We do, however, have additional needs that include translators for our Spanish materials, children’s ministries team members in each of our eight areas, and helpers willing to pilot new programs developed in our office. If you would like to be more involved with children’s ministries, contact arivera@txsda.org. state from around the world and served as the personal chef for three governors of American Samoa. Now, he’s brought his passion for cooking and food evangelism, as he calls it, to Southwestern Adventist University. Most recently, we told the story of Garett Cook, a man who had never even heard of the Seventh-day Adventist Church a few years ago and now serves as principal of Adventist Christian Academy of Texas in Conroe. Ultimately, the Communication Department facilitates ministry. We work together with churches, schools, leaders and members to share stories that impact, inspire, and connect our church, members, and communities. Southwestern Union Conference focused on continuous school improvement. Every school will participate next year completing evaluations to determine pros and cons at the school. A scoring grid will provide data with an analysis of the responses, and will be a collaborative effort to benefit the schools. Currently, four of our schools are part of the beta testing process. We invite you to seriously consider becoming an active giver, both financially and prayerfully, to continue the Adventist Education work here in Texas. As 3 John 4 so eloquently states, “I have no greater joy than to hear that my children are walking in the truth.” We want every young person to have the opportunity to hear of God’s everlasting love in our Seventh-day Adventist schools and pray they will be in the kingdom as a result. program in conjunction with Southwestern Adventist University, raised evangelists in conjunction with the Youth and Young Adults Department, and have generated thousands of new Bible study interests. Reach the World Next Door, a training center for refugees, immigrants, and international students in Houston has trained 80 cross-cultural missionaries, and unreached groups are being ministered to like never before. Additionally, Texas has adopted a global mission and hopes to establish Adventist work in ten cities throughout the Middle East and North Africa between 2015 and 2020. Although we’re excited by the projects we’ve undertaken, we aren’t without our challenges. There are millions of people in Texas who have been untouched by the Adventist message, as well as hundreds of cities with populations over 10,000 without any kind of Adventist presence. Our goals for the next few years include baptizing 12,000 new believers, planting 50 new groups in communities without an Adventist presence, filling baptistries in every church on one Saturday each quarter, and more. We believe that you can be a prayer warrior, GLOW missionary, or baptism coach. Additionally, every congregation, school, and Adventist institution can form a plan for giving Bible studies, creating small group sessions, and following up with people interested in the Bible message. Then, we will be able to fulfill the Great Commission to reach all nations, tribes, and tongues with the gospel. For more info, visit www.TexasEvangelism.org. God inspires the final verse of the Old Testament in Malachi to read, “turn the hearts of the parents to their children, and the hearts of children to their parents.” Those words were important enough that similar wording is included in the New Testament in Luke 1:17. The fact that both the Old and New Testaments include similar statements is not a mere coincidence, but rather a strong statement that heaven’s greatest pleasure is to see healthy and functional families. The Texas Conference Family Ministries Department works tirelessly to provide resources and opportunities to strengthen our constituent families. Here are some of the initiatives God allowed us to fulfill in the past four years. Equipping Leaders With more than 300 churches in our Conference, it is essential to create Family Ministries leaders in every congregation. An ambitious undertaking, we are pleased to share that more than 200 members have completed or are in the process of completing the North American Division Family Ministries Certification. Preparing Pastors Pastors are one of the first resources members turn to for Family Ministries needs. In the past four years, we have been able to certify more than 60 percent of our pastors in the Prepare/Enrich program that equips our pastors to help dating and married couples, as well as parents, with family issues. Enhancing Family Relationships In the past four years, the Family Ministries Department offered more than 60 workshops, seminars, and retreats that have enhanced dating and marriage relationships, parenting dynamics, and adolescent development. We praise God for the opportunity to serve the families in Texas, and for the way He has led this ministry for the past 10 years. For more information on how Family Ministries can serve you and your local church, please contact us at 817.790.2255 ext. 2143 or visit us at ForeverONEfamily.org. Empowering Single Adults The Power of ONE: Enhancing the Gift of Singleness is one of the latest Family Ministries initiatives. Its goal is to provide networking opportunities for single adults across the Texas Conference. During the ForeverFAMILY events, single adult speakers united with many of our single adults to explore ideas on how to embrace the gift of singleness in both their personal lives and for the growth of God’s kingdom. Speaking to the Heart Since the spring 2013 issue of the The FLAME, Family Ministries has contributed on a regular basis to the Family page. The quarterly articles are written to encourage and uplift the spiritual and family journey for the nearly 25,000 households within the Texas Conference receiving the publication. Expanding the Impact A dozen pastoral couples accepted the call to assist the Family Ministries taskforce. These dynamic couples spend a few weekends during the year traveling across the state doing family workshops that continue to fulfill the mission of bringing the hearts of parents to their children and the heart of families toward God. as vegan restaurants. And new leaders are still emerging. Nine people from Texas went to the North American Division Health Summit in Albuquerque, and a team of Hispanic leaders is organizing to invigorate health ministries in their communities. As we look toward the future, area leaders are being trained to organize and coordinate the different areas of the Texas Conference, our Health Ministries website will be live soon, and a Texas Health Summit, with help from the NAD, is planned for 2020. God has been good and we look forward to seeing what He has planned for the future. through initiatives like Target Tarrant County and MORE Hope. The growth in San Antonio and Austin has been incredible, and we hope for similar results in Fort Worth and Tarrant County. Finally, we thank God for the administrative team of our Conference and for the spiritual, strategic, and economic support that they have given us to carry out our work. The Hispanic Ministries Department looks forward to making even greater gains during the next four years. screened through Verified Volunteers knowing they are helping to provide a safe environment for our children, elderly, and the vulnerable-at-large. The prevention of any future criminal activity and the focus on providing safe places to worship, learn and grow spiritually are at the forefront of this initiative. The Texas Conference Volunteer Screening Coordinator reviews all “red flag” results and works with a committee to adjudicate those red flags with consistency according to a predetermined points structure. The Human Resources Department is committed to excellent customer service, protection of information and assets, and providing a safe worship environment for members of all ages. In everything we do, we strive to honor our mission statement, "Providing services with excellence, for God's glory." resource covering a wide variety of topics for all levels of learners. 1 Peter 4:10-11 reminds us that, “Each of you should use whatever gift you have received to serve others, as faithful stewards of God’s grace in its various forms. If anyone speaks, they should do so as one who speaks the very words of God. If anyone serves, they should do so with the strength God provides, so that in all things God may be praised through Jesus Christ. To him be the glory and the power for ever and ever. Amen.” We are thankful to serve in the Texas Conference and give God the glory for the work He has given us to do. “banana” tubing), biking, geocaching, backpacking, and soccer in addition to Bible exploration, praise, and worship. Paulo Tenorio, Texas Conference Youth and Young Adults Director, is committed to helping each camper develop a relationship with Jesus while also having fun at the ranch. Since our last constituency session, a Lake Whitney Ranch operating board was convened and meets on a regular basis to discuss the needs and growth for the ranch. Some of the current updates include a new security entrance gate with LED lighting, along with additional LED lighting that has been added to camp housing, the basketball court, road intersections, the road to the event center, and lodge one, making it brighter for those traveling at night. Safety measures have been updated to include 911 street signage throughout the ranch giving medical/fire/police personnel precise locations in case of an emergency. Also, two portable AED defibrillators are available, if needed. Both ends of the maintenance building were enclosed providing additional storage and making things more accessible, especially during summer camp. Excavators and mowers were purchased to assist with ranch improvements and upkeep. The major roads were resurfaced, and drainage improved. The 15-hp well pump was replaced with a 60-hp pump to accommodate current and future needs at the ranch. Ten new portable toilets will be placed in different areas around the ranch in concrete to make them stable. Lastly, improvements were made to the camp houses and landscape to align them with the aesthetics of the ranch. We are thankful for God’s provision in allowing us to make improvements to His property. We also appreciate those who have so generously donated (either monthly or with a one-time gift) to help improve Lake Whitney Ranch. Some have even included Lake Whitney Ranch in their estate planning. If you would like to know more about that opportunity, please contact the Texas Conference Planned Giving and Trust Services office at 1.800.847.2792 or email trust@txsda.org. If you are interested in scheduling a visit or weekend stay, contact sreiber@txsda.org for available dates. Thank you for your continued prayers and support of Lake Whitney Ranch to be A Light in the Heart of Texas. The Literature Ministries Department of the Texas Conference encompasses two main ministries: Regular Literature Evangelism (L.E.) and the Youth Rush program. Our mission is to carry the message of truth through the printed page to all of Texas and beyond until the coming of the Lord. These past few years, this ministry has flourished in Texas and we are thrilled to report the ways in which God has allowed us to grow. After some changes in spring 2017 to the administration of the department, the L.E. ministry has worked with 36 colporteurs to spread God’s truth through the printed word. With the aid of the Holy Spirit, they have sold a combined $111,888 worth of literature. It should be noted that some of the Regular Literature Evangelists work full-time while others work part-time. Our goal is to have at least 50 Regular Literature Evangelists working full-time in the near future. The Youth Rush program is a student literature evangelism program. They go door-to-door offering books such as Steps to Christ, The Great Controversy, The Desire of Ages, and Christ Object Lessons, as well as offering prayer and Bible studies. Every day during the school year, as well as during all school breaks, students from both college and high school participate in this program to raise money for their tuition. From March 2017 to March 2019, we have had 252 students who have generated approximately 800 Bible study interests and $777,419. That accounts for roughly 52,000 books filled with the message of hope and salvation. express how healing it was to know I have brothers who are struggling, and it was amazing to hear that I am not alone. The experience saved me.” The Men’s Ministries Department also supports the local churches. In 2017, we launched five area rallies providing men the opportunity to get acquainted with other Christians in their areas. The speakers challenged attendees to be leaders in their homes and communities while representing Christ wherever they go. Hispanic Men’s Ministries The Hispanic Men’s Ministries Department, known as Hombres Adventistas de Valor, is celebrating its 10th Anniversary of successful ministry. Its annual retreat is considered one of the most attended men’s ministries retreats in the North American Division. Texas is also home to the NAD’s Men’s Ministries Certification Training, and the Hispanic Men’s Ministries Department provides assistance for this training to other conferences around our Union, as well as for five countries outside the United States. Offerings taken at our events have made aid to many countries possible in the form of eye surgery campaigns, the purchase of two boats for overseas missionaries, hundreds of water filters for water-deprived areas, remodeling projects, and more. Around 3,000 men have been positively impacted during our area church rallies, mens’ breakfasts, or attending our annual retreats, and our department strives to facilitate a spiritual experience for all involved. Upcoming Events In 2019, we encourage all men to attend the Southwestern Union Men’s Convention entitled EPIC, scheduled for May 31 – June 2, at Lakeview Camp & Retreat Center in Waxahachie, Texas. The guest speaker is former US Marine and actor, Ken Bevel, featured in the films Courageous and Fire Proof. This fall, there will be three regional Men’s Summits in San Antonio (September 20-21), Dallas (October 4-5), and Houston (November 8-9). We look forward to seeing you at one of the summits. Ministries and the Secretariat Department over the next four years. Thank you for allowing us the privilege of providing the encouragement, training, mentoring and support that is needed by our pastors in the Texas Conference. The Texas Conference Print Department completed more than 1,300 jobs in 2018 alone. That includes 1,484,374 copies and 1,531,382 items printed. Years ago, the department mission was created “to provide printed materials that enhance the spreading of the gospel while offering the benefits of customized service with reduced pricing through our internal organization.” Through the years, we have fulfilled that mission by providing our churches, schools, and organizations a one-stop shop for all designing, printing, and mailing needs. The Print Department has the capabilities to print black and white or full color small-run copies on our highspeed copiers, as well as larger runs on our Heidelberg Quickmaster Digital Imaging press. One of the Print Department's current priorities is looking at different ways to make printing even more affordable. Our in-house Graphic Designers are available to assist with church and school design needs, and our support staff are available to assist with printing and production. We are privileged to work with churches coordinating their promotional items for evangelistic series and outreach programs. We have also produced alumni newsletters, business cards, stationery, cards, invitations, brochures, booklets, posters, billboards, yard signs, tracts, and banners in addition to production of The FLAME, the Texas Conference quarterly magazine. During the 2018 Your Best Pathway to Health mega-clinic in Fort Worth, we coordinated 167,000 copies including 6,200 intake forms and 400,000 advertising flyers. It gives us great pride to produce a quality product for a client knowing that it could be just the item to encourage someone to learn more about Jesus. As the Texas Conference adopts the updated Seventh-day Adventist Church logo, we are happy to work with churches and schools to incorporate the logo in their business cards, stationery, and other promotional material. This branding connects us as a global church providing an instant identity to those searching for biblical truth. “God calls for message-filled books, magazines, and tracts to be scattered everywhere like the leaves of autumn. As church members unite with literature evangelists in spreading the good news, the task will be accomplished,” said Ellen G. White in her book The Publishing Ministry. Let us be the print source to help you create those good news items for your health workshop, evangelistic series, or other church or community event. The chart on the left lists a variety of services we offer. For more information, please email printshop@txsda.org. Sabbath School has been an indispensable arm of the Adventist movement since its introduction in 1853. It is said that somewhere around 85 percent of the early church membership came to faith through Sabbath School. Early records show that for every hundred church members, there were around 108 Sabbath School members. Friends, neighbors, and relatives of church members were introduced to the Bible in the Sabbath School class. It was a comfortable place to ask questions and be loved into the Seventh-day Adventist family. Sabbath school shared much with our modern-day small groups—a place where a group of believers encouraged and supported each other. Sabbath School class members formed special bonds that extended beyond Sabbath services into daily life. Classes often reported weekly on activities that brought them into contact with their neighborhoods and communities. Assisting and meeting the needs of others in practical ways was the way that church members made their faith authentic. Today, however, this core ministry of the Seventh-day Adventist faith is experiencing a dramatic decline. Estimates indicate that on average, only 25 percent (or less) of church-going adults in North America attend Sabbath School on a regular basis. The Texas Conference appointed the first full-time Sabbath School Director in January of 2018 focused on providing training opportunities for members, teachers, and Sabbath School leaders. During this past year, more than 12 area trainings were conducted across Texas in addition to local church visit requests. Left: Sabbath School attendance of the early Seventh-day Adventist Church Below: Sabbath School attendance today. The first Sabbath School training event, known as IGNITE, was launched November 10, 2018, in partnership with the Southwestern Union and North American Division. Almost 300 youth, young adult, and adult Sabbath School teachers met at Keene Town Hall where Steve Case, Involve Youth President, and Vandeon Griffin, North American Division Youth & Young Adult Ministries Director, led the presentations. There are now two newly-designed Sabbath School training programs available. The first, ReVitalize BASIC Sabbath School training, is a three-hour event designed to provide essential knowledge, tools, and support for church members, teachers, and Sabbath School leaders. The emphasis is equipping existing and prospective teachers/facilitators and Sabbath School leaders in four core purposes of Sabbath School: Bible Study, Fellowship, Outreach, and Global Mission. That includes encouraging a devotional life in the study of the Bible and encouraging interaction beyond the Sabbath School class, such as serving together and impacting lives in meaningful ways that provide systematic contribution to the Great Commission. Additionally, ReVitalize BASIC provides strategies on key areas including: How to Develop Better Class Participation, Building Community in Your Class, Class Outreach, and Strategies to Encourage Study and Participation. ReVitalize ADVANCED Sabbath School training provides fresh ideas and approaches to struggling Sabbath School programs. The training focuses on three revitalizing steps that include: Phase 1—INITIATE, a major re-training and restructuring process that prepares the Sabbath School department for the next step. Phase 2—Re-LAUNCH Sabbath School, that encourages church leadership support and member participation, instituting a new class format and other enhancements. Phase 3—TRANSFORMATION, providing support for the Sabbath School Department and church leadership. In 2019, the Texas Conference Sabbath School Department is working with the Children’s Ministries and Youth and Young Adults Departments for area trainings and events. 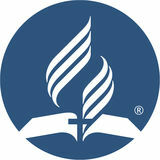 All Conference events can be found on the Texas Conference website calendar at texasadventist.org/events. a first-of-its-kind 360 Stewardship Convocation featuring speakers from the General Conference, North American Division, Southwestern Union, and Texas Conference, and focused on strategies for achieving a 360-degree view of the four key areas mentioned earlier. In 2019-2020, we are working toward offering more opportunities to churches for training and equipping in this important area. Look for more information on events coming to your area in the near future. Above all, let’s remember that stewardship is not what God wants from you, but rather what He wants for you. items like their parents and grandparents. In addition to moving people all over the United States, the Transportation Department provides logistical support for our Adventist Community Services and Disaster Response Department. Most recently, we transported supplies to Houston following Hurricane Harvey and to the Carolinas following Hurricane Florence. We are grateful for the opportunity to serve the Texas Conference in this ministry. If you know someone looking to move, email us at move@txsda.org and we’d be happy to help. Thank you for keeping us in prayer as we continue to crisscross the countryside. be hidden. Nor do they light a lamp and put it under a basket, but on a lampstand, and it gives light to all who are in the house. Let your light so shine before men, that they may see your good works and glorify your Father in heaven.” Hurricane Harvey postponed our combined 2017 English and Spanish Women’s Retreat themed, The Lord is Coming, Are you Ready? to January 19-21, 2018. The retreat was held at the Hyatt Regency Riverwalk hotel in San Antonio with 1,300 ladies in attendance. Speakers included Yami Bazan, Cindy Tutch, and Miriam Gonzalez. At this retreat, we were reminded of the importance of being ready for His coming every day of our lives. In closing, we'd like to thank the Conference administration for its support these past fours years, our Administrative Assistants and other volunteer personnel, and the Print Department. Thank you to the pastors’ wives and women’s ministries leaders who have always helped with all the events and much more. May the Lord bless us and keep us, may His face shine upon us, and may He lift His countenance upon us and give us peace. is scheduled for August 2019 in Oshkosh, Wisconsin. We are excited and getting ready for this event as it only happens once every five years, and is a great opportunity for Pathfinders around the world to experience new cultures, enjoy the great outdoors, and gain profound spiritual insight. Bible Challenge The reality is that if we want to change the world, we need to start with ourselves. Earlier this year, we started the Bible challenge to encourage people to read a chapter of the Bible in the morning and another in the evening for 30 days. A wristband served as a reminder to dedicate this time for Bible reading and prayer, and Engage Conference close to 4,000 people in Texas and beyond The Engage Conference was created to accepted this challenge. provide a Conference-wide event for young Adventist Youth Leaders in Russia and people to address current issues. In the two Hungary joined with their youth as well. years that it’s been done, we’ve had around One young adult shared, “I was ready to 1,830 people in attendance resulting in 22 leave Church, I was pretty much gone until baptisms. I heard the sermon and altar call to join the Bible Challenge. I tried it and now I’m a Growing Young Adventists leader with the youth in our church.” These training sessions provide six For more info or to register for upcoming essential research-based strategies to events, visit us at txyouth.org or follow us engage and embrace young people. The on Facebook (@YoungTexasAdventist) and trainings are designed to help the church Instagram (@txyouth). retain its teenagers and young adults. On behalf of the Texas Conference, we want to thank the hundreds of individuals SENT and Glad Reaper (School of Evangelism in who have donated their time, creative Texas) energy, and resources to ministering to Recently merged, SENT trained more young people. You are an inspiration and than 600 young people to give Bible a blessing to us, and we look forward to Studies, preach, assist with church plants, serving with you in the future. health seminars, and much more. Glad Reaper resulted in 67 evangelistic campaigns throughout Texas done exclusively by young people. Summer Camp Our camp program has grown tremendously in the past three years. We currently offer eight weeks of summer camp including six weeks at Lake Whitney Ranch plus two weeks of day camp in the Rio Grande Valley area. Our number one goal is always to teach our campers how to develop a relationship with Jesus. Mission Trips Texas Conference youth have impacted people in Dallas, San Antonio, Guatemala, Peru, India, and Thailand through various mission trips. They have assisted with Vacation Bible School programs, evangelistic meetings, community services, and health initiatives. Our goal for the next mission trip is to take club leaders and plant Pathfinder clubs in Kyrgyzstan. Area Youth Directors These directors help coordinate events in each area to assist those who are not able to travel for Conference-wide events. They work in conjunction with the Texas Conference Youth and Young Adults department and organize local events.